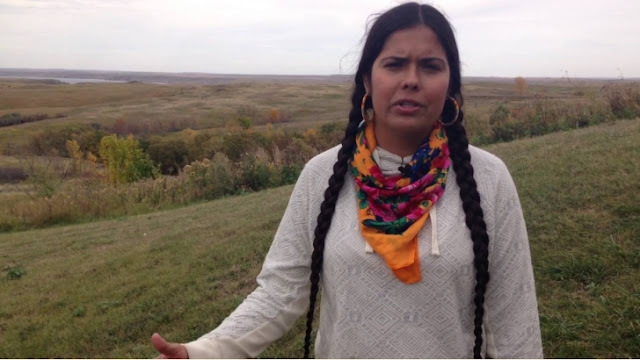 We know pipelines leak, they always do - it would wipe out our culture and identity. It’s something that’s so fundamental to our people. "We’ve seen North Dakota, in particular, put out messaging that says folks are violent, that we’re aggressive, that we are antagonizing the situation and somehow necessitating this militarized response. The reality is, if you’re here and you're seeing the grassroots media coming out, it’s people who are gathered together in prayer and unity and coming together for the first time, really, in history. This is a historic moment for tribal nations to come together like this. 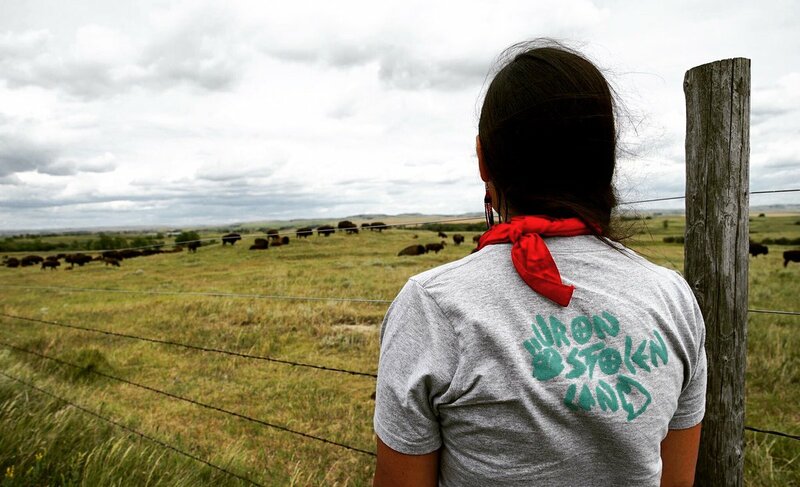 We’ve got people who are historic enemies camping alongside each other, learning to live together and be together in this space..."
"We’ve been working at Honor the Earth against two pipelines, Line 3 and the Sandpiper line. 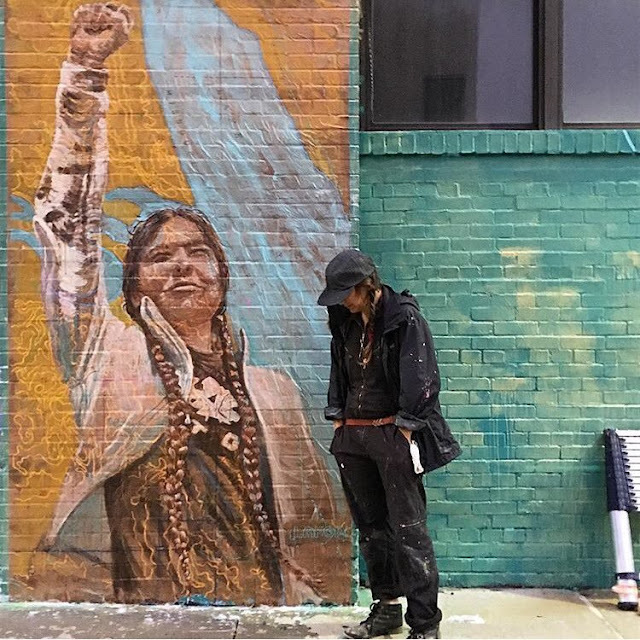 Enbridge, the company behind Sandpiper, actually pulled the funding from Sandpiper and put it toward Dakota Access." 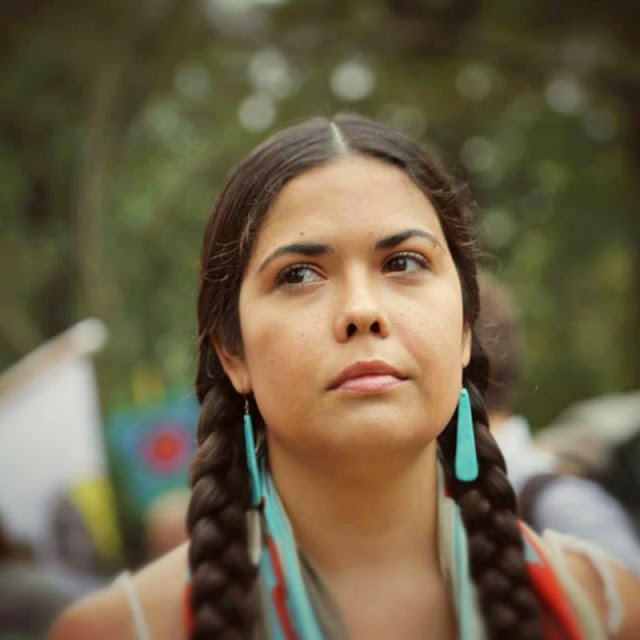 "One of the issues here is that Dakota Access went through a process where they used legal loopholes, they used nationwide permit to segment the project into little pieces and essentially avoid the stringent environmental review that a project like this should have. They did an EA - environmental assessment - instead of a full environmental impact statement to consider all the cumulative impacts that a pipeline like this could have. The impacts to sacred sites, cultural sites, health impact, anything that a massive fossil fuel infrastructure project that we don’t need would have with it." 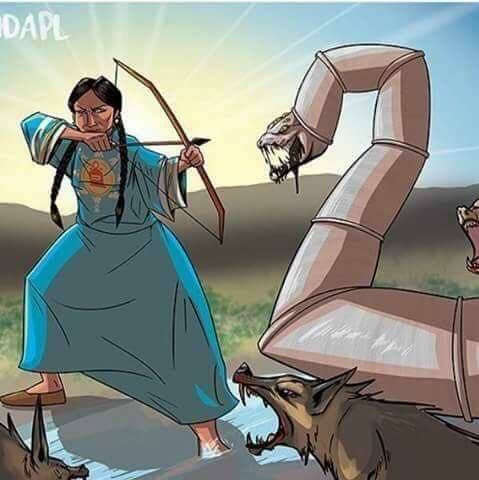 Responses to "Fearless Ojibwa Woman Warrior is the Nightmare of the Oil Pipelines"
Love and support from Ohio. Keep the faith! Keep at it. My heart is with you!